novaPDF Lite 10 was available as a giveaway on March 22, 2019! 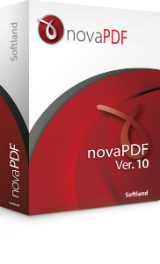 novaPDF Lite allows you to create PDF files from any printable document, including emails, Microsoft Office documents, web pages, text. It works as a printer driver and you can print from any Windows application that supports printing - just set novaPDF Lite as the default printer and the document will be converted and saved as PDF file. Features include: customizable resolution, document information, predefined page size, quality settings and much more. How would you improve novaPDF Lite 10? I am not able to install the app, I keep getting a "fatal error" message, I don't know what could go wrong, I had no problem with anything else. Also, when I extracted it with winrar, the .exe file opened into dozens of unknown files instead of starting the installation. It started the installation only as a zip file. Anyone knows what this would mean? I have the latest windows 10 x64. I am not able to install the app, I keep getting a "fatal error" message, I don't know what could go wrong, I had no problem with anything else. Also, when I extracted it with winrar, the .exe file opened into dozens of unknown files instead of starting the installation. It started the installation only as a zip file. Anyone knows what this would mean? I have the latest windows 10 x64. I use Nuance PDF-reader and for some serious work on pdf's PDFill_PDF_Tools and for the creation of pdf's the possibilities in Word or WordPerfect or Windows 10. I use Nuance PDF-reader and for some serious work on pdf's PDFill_PDF_Tools and for the creation of pdf's the possibilities in Word or WordPerfect or Windows 10. So no need for this. Is this a time-limited trial, or do you get a life time license with no updates and no technical support. If this is time limited, it should state that upfront. If it is a free life time license, that I would be happy to give this a try. Steve Johnson, not a true observation, I have doPDF and works on wide or sideway formats without problem. You can also set from any word-processor the same thing, even save to PDF directly or to PDF file without using a printer driver and you can also adjust on the print page set-up the formating of page(s) to any size without the printer driver. These kind of software were popular a decade ago when the word processors were limited to saving to a DOC file formats, no more. Steve Johnson, not a true observation, I have doPDF and works on wide or sideway formats without problem. You can also set from any word-processor the same thing, even save to PDF directly or to PDF file without using a printer driver and you can also adjust on the print page set-up the formating of page(s) to any size without the printer driver. These kind of software were popular a decade ago when the word processors were limited to saving to a DOC file formats, no more. Marie, I am sorry to see that you consider my comment to be incorrect as I took great care to ensure the details were 100% accurate. Having double-checked, I stand by what I said. Please note the operative phrase was "*most* of the other PDF converters mentioned elsewhere" [my asterisks] and that is fully demonstrable. I do not deny that a small number of PDF converters for Windows, Mac OS, RISC OS, etc, do handle landscape-format files correctly so that they are displayed by PDF readers in the correct sense, but they are very much in the minority, and often pay-for. I have tried the 'doPDF' application you mentioned with a number of typical landscape-format files - and most were displayed as having been rotated into portrait format. The only ones which retained the correct landscape format was when the original file contained at least some *outline* text. All those without any outline test (e.g. bitmaps and vector graphics where any outline text had been pre-converted to 'shapes') are routinely displayed in the 'wrong' portrait format. Marie, I am sorry to see that you consider my comment to be incorrect as I took great care to ensure the details were 100% accurate. Having double-checked, I stand by what I said. Please note the operative phrase was "*most* of the other PDF converters mentioned elsewhere" [my asterisks] and that is fully demonstrable. I do not deny that a small number of PDF converters for Windows, Mac OS, RISC OS, etc, do handle landscape-format files correctly so that they are displayed by PDF readers in the correct sense, but they are very much in the minority, and often pay-for. The fact remains that the majority of PDF converters finish up with the resulting PDF file in portrait format in the usual crop of PDF readers (Acrobat, Foxit, etc) I have tried the 'doPDF' application you mentioned with a number of typical landscape-format files - and most were displayed as having been rotated into portrait format. The only ones which retained the correct landscape format was when the original file contained at least some *outline* text. All those without any outline test (e.g. bitmaps and vector graphics where any outline text had been pre-converted to 'shapes') are routinely displayed in the 'wrong' portrait format. I trust this clarifies the position. So glad somebody finally thought of this. rww, finally thought of what? You cannot mean a PDF virtual printer? They've been about for decades. I have 7 different PDF printers installed not including todays giveaway. I know there are many more too. rww, lol, you must have internet since not very long ago. Tools like this exist for ages, many of them are F R E E.
TK/BrendonL, I think rww was being sarcastic! does this program allow one to white out" areas, highlight text and / or insert text? Peter, AFAICT novaPDF has no facility to do what you mention. However, can I suggest converting your documents into PDF files in the normal way, but then import each one into a suitable PDF *reader* as some of them (e.g. Acrobat) will then allow you to insert added-extras. My personal favourite is the Foxit PDF reader, as that has a nice and simple 'highlight text' feature. 'White space' can be generated anywhere by selecting Comment and drawing an (empty) Textbox where you want it. This effectively 'hides' any underlying text etc. And if you want to insert text, draw the Textbox as above and type the text into it. All these additional elements can be fully customised, e.g. moved around, re-sized, highlight colour changed, any border made thicker or thinner, etc etc. Seemples. HTH. Peter, AFAICT novaPDF has no facility to do what you mention. However, can I suggest converting your documents into PDF files in the normal way, but then import each one into a suitable PDF *reader* as some of them (e.g. Acrobat) will then allow you to insert added-extras. My personal favourite is the Foxit PDF reader, as that has a nice and simple 'highlight text' feature. 'White space' can be generated anywhere by selecting Comment and drawing an (empty) Textbox where you want it. This effectively 'hides' any underlying text etc. And if you want to insert text, draw the Textbox as above and type the text into it. All these additional elements can be fully customised, e.g. moved around, re-sized, highlight colour changed, any border made thicker or thinner, etc etc. Seemples. HTH. Steve Johnson, Err why would you create the PDF only to try and edit the PDF file in a PDF editior? Why not do the ediitng before you print to PDF in the first place. BTW some PDF readers have options to not print comments or Markup and in those PDF documents where you have obscured content with comment text boxes the obscured content will be exposed defeating the "hiding" of he content. Redacting content of a PDF file cannot be done using Markup or comments added to a PDF file and if you do try you must flatten the PDF by printing it to a raster printer and then printing that back to a PDF so it apears as a flat scanned PDF and not a multilayered PDF document that can have the layers stripped back using the right tools and reveal the pretend redacted content. In a similar manner how declassified documents where first coppied, redacted with a thick black pen then photocopied and only the photocopied page is declassified as the original redacted document could be chemically or spectrally manipulated to expose the original content but once the entire original content and redacting black markings are merged into the same toner / ink of the photocopier it is then truely redacted and can be published without classifed data being harvested from under the redactions. Steve Johnson, Err why would you create the PDF only to try and edit the PDF file in a PDF editior? Why not do the ediitng before you print to PDF in the first place. BTW some PDF readers have options to not print comments or Markup and in those PDF documents where you have obscured content with comment text boxes the obscured content will be exposed defeating the "hiding" of he content. Redacting content of a PDF file cannot be done using Markup or comments added to a PDF file and if you do try you must flatten the PDF by printing it to a raster printer and then printing that back to a PDF so it apears as a flat scanned PDF and not a multilayered PDF document that can have the layers stripped back using the right tools and reveal the pretend redacted content. In a similar manner how declassified documents where first coppied, redacted with a thick black pen then photocopied and only the photocopied page is declassified as the original redacted document could be chemically or spectrally manipulated to expose the original content but once the entire original content and redacting black markings are merged into the same toner / ink of the photocopier it is then truely redacted and can be published without classifed data being harvested from under the redactions. TK, Thanks for this, good points! The answer is that it depends on the situation. For example, a mate and I published an e-book which was a compilation of 13 monthly articles published in a fanzine, each of which had our then email address in the header. Sod's law - only 3 weeks after the e-booklet went online, our then ISP collapsed - and of course all the email links were immediately outdated. Drat. But rather than go back to all 13 source articles, update the email addresses and then re-combine them as a single PDF file - which would have entailed having to re-do hundreds of other links and a further proof-read - we took the already-published e-book PDF file, drew a text box over one outdated email address and typed in the new one. Then it was simply a case of copying the text box and pasting it over all the other outdated email links. The amended compilation PDF file was saved, quick proof-read involving only the email links and re-published, avoiding very many hours of re-working and re-checking the original articles. If you want to have a neb at that, please download the 'VirtualRPC In Use' e-booklet on http://www.virtualacorn.co.uk/support/vrpcinuse/index.htm I'm sure there are lots of other examples but HTH. TK, Thanks for this, good points! The answer is that it depends on the situation. For example, a mate and I published an e-book which was a compilation of 13 monthly articles published in a fanzine, each of which had our then email address in the header. Sod's law - only 3 weeks after the e-booklet went online, our then ISP collapsed - and of course all the email links were immediately outdated. Drat. But rather than go back to all 13 source articles, update the email addresses and then re-combine them as a single PDF file - which would have entailed having to re-do hundreds of other links and a further proof-read - we took the already-published e-book PDF file, drew a text box over one outdated email address and typed in the new one. Then it was simply a case of copying the text box and pasting it over all the other outdated email links. The amended compilation PDF file was saved, quick proof-read involving only the email links and re-published, avoiding very many hours of re-working and re-checking the original articles. Another of our e-books was prepared in A5/portrait mode, but then converted to a 2-page spread in landscape format for ease of reading on a monitor. But we wanted to put a 'Return to Contents' link at the bottom of each (A4/landscape) page. AFAICT this couldn't be done on the original A5 pages, so I used CutePDF to add a footer saying 'Return to Contents' at the bottom-centre of the A4/landscape PDF file, which worked perfectly. But as I didn't want the footer text to appear on the Contents page itself, I simply drew a (blank) text box over the 'Return to Contents' text. PDF file saved, re-checked and published. Many more hours saved... :-) If you want to have a neb at that, please download the 'VirtualRPC In Use' e-booklet on http://www.virtualacorn.co.uk/support/vrpcinuse/index.htm I'm sure there are lots of other examples but HTH. Is FOXIT a free, fully functional download? Steve Johnson, Is FOXIT a free, fully functional download? Peter, I believe it is entirely FOC for non-business use (it doesn't seem to mention anything about that on their website). But it's certainly fully functional and not a time-limited job. Although I usually view all 3rd-party PDF files in Acrobat, Foxit is my 'goto' PDF reader for anything other than simply reading. The added-extra 'Comments' bit first came in a few years ago and has since grown like Topsy. Activating links for example is a breeze. It would take ages to work through all its possibilities. The freebie 'Lite' version used to be very small (in MB) and noticeably much faster than Acrobat for instance. Not so much today but nevertheless a real treat. TK, In response to your 1st para, there can be many occasions where (arguably) it's much more convenient to tweak the finished PDF file *after* it has been published,, rather than go all the way back to the source file, make the tweaks to that BUT then (for example) having to re-convert it back to a PDF file, then re-activate all the very many links, then check that they all work, then check that nothing has gone adrift in the conversion, and so on. To give a typical example, only 2 weeks after we'd published a complex e-book, our ISP collapsed so our email address (in several places) was immediately outdated. Drat. No problem: all we had to do was to import the e-book PDF into Foxit, select Comment, draw a text box over 1 of the 'faulty' email addresses, type in the new address, re-activate the link, copy the text box, paste it over all other instances of the 'faulty' email, save the file, make sure all the email links were working and re-publish the e-book. This saved several hours of hard graft. HTH. TK, In response to your 1st para, there can be many occasions where (arguably) it's much more convenient to tweak the finished PDF file *after* it has been published,, rather than go all the way back to the source file, make the tweaks to that BUT then (for example) having to re-convert it back to a PDF file, then re-activate all the very many links, then check that they all work, then check that nothing has gone adrift in the conversion, and so on. To give a typical example, only 2 weeks after we'd published a complex e-book, our ISP collapsed so our email address (in several places) was immediately outdated. Drat. No problem: all we had to do was to import the e-book PDF into Foxit, select Comment, draw a text box over 1 of the 'faulty' email addresses, type in the new address, re-activate the link, copy the text box, paste it over all other instances of the 'faulty' email, save the file, make sure all the email links were working and re-publish the e-book. This saved several hours of hard graft. HTH. TK, "Steve Johnson, Err why would you create the PDF only to try and edit the PDF file in a PDF editior? Why not do the ediitng before you print to PDF in the first place." what if the PDF was sent with sensitive information, such as one's soc security number? That is why one needs at times, to white out certain areas. TK, "Steve Johnson, Err why would you create the PDF only to try and edit the PDF file in a PDF editior? Why not do the ediitng before you print to PDF in the first place." what if the PDF was sent with sensitive information, such as one's soc security number? That is why one needs at times, to white out certain areas. Peter, having come into this extensive discussion at a late stage, I'm afraid I'm not totally up to speed with all that has gone before. But if I understand your query correctly, I think my oppo Steve Johnson may have already suggested a simple solution on how to 'white out' any sensitive content, using Foxit, when he said (at 8:21pm yesterday): "White space can be generated anywhere by selecting Comment and drawing an (empty) Textbox where you want it. This effectively 'hides' any underlying text etc." Peter, IF the PDF contains sensative information adding whiteout box markups is a false sense of security since one can opt to NOT print markup additions and in which case the redacted white out masks will NOT be printed and the original sensative information will be printed out... I said this in my long ish reply... YOU MUST DELETE THE ORIGINAL SENSATIVE PDF ELEMENTS FROM THE PDF DOCUMENT OR IT WILL STILL BE ACCESIBLE IN THE FINAL PDF FILE! Jim Nottingham, Yes that may be an instance where EDITING the PDF file in a PDF Editor not just a markup editor would be a good idea. In my opinion adding comment markup to an existing PDF file one produced is not the professional option, it is the sort of thing a home office would be more likely to do since it can be done with free tools. Editing the PDF elements to reflect the exact changes is the proper way to do it but would require a paid for PDF editor that can edit existing PDF file objects and not just tag in markup overlays which can be removed by the end user to see the mistakes they are covering up. Not having the details of what email domain you were using whether it was your own domain hosted by your ISP and you lost control of it due to the ISP colapse or if you used the ISPs free email domain for business use and the ISP went belly up and was not bought up by another ISP so did not continue to function under the new ISPs ownership... I have a few defunct ISP specific free email domains still working now owned by other ISPs. like ic24.net migrated to madasafish and now owned by plusnet, wholly owned by BT or lineone.net now owned by talktalk I am sure I have others but they were so ungainly I chose to not continue using them. Being someone that has delt with that sort of problem in a professional capacity... recovering a commercially owned domain from an ISP that was hosting it and became defunct is a pain but quite doable without having to comunicate with the ISP or administrators. I would have chosen to edit the source documents and produced a revised version PDF file rather than kludging the old obsolete PDF document with addon markup comments. Jim Nottingham, Yes that may be an instance where EDITING the PDF file in a PDF Editor not just a markup editor would be a good idea. In my opinion adding comment markup to an existing PDF file one produced is not the professional option, it is the sort of thing a home office would be more likely to do since it can be done with free tools. Editing the PDF elements to reflect the exact changes is the proper way to do it but would require a paid for PDF editor that can edit existing PDF file objects and not just tag in markup overlays which can be removed by the end user to see the mistakes they are covering up. Not having the details of what email domain you were using whether it was your own domain hosted by your ISP and you lost control of it due to the ISP colapse or if you used the ISPs free email domain for business use and the ISP went belly up and was not bought up by another ISP so did not continue to function under the new ISPs ownership... I have a few defunct ISP specific free email domains still working now owned by other ISPs. like ic24.net migrated to madasafish and now owned by plusnet, wholly owned by BT or lineone.net now owned by talktalk I am sure I have others but they were so ungainly I chose to not continue using them. Being someone that has delt with that sort of problem in a professional capacity... recovering a commercially owned domain from an ISP that was hosting it and became defunct is a pain but quite doable without having to comunicate with the ISP or administrators. But you wouldn't want to deliberatly publish the PDF document in order to splatter some markup comments over incorrect email address or website address. In your example you did it as a quick and dirty remidy for a domain change sometime after the document was published because for some reason re-publishing the document with the correct new information was not worth the effort... maybe you never planned on ever producing an update the the document in the forseeable future so never kept a record of the document build procedure... I would have chosen to edit the source documents and produced a revised version PDF file rather than kludging the old obsolete PDF document with addon markup comments. Guys, I can't help feeling these increasingly-extensive discussions are going OT. Neither my oppo Steve nor I are professionals; just a pair of amateur enthusiasts who prepare e-books and complex graphics for publication FOC by third parties, hopefully for the interest of other enthusiasts. We would certainly not include sensitive information and do not have (or need) an email domain. So while I do agree with the majority of what you say, I stand by what we have already said about sussing out relatively simple and time-saving workarounds if and when (just as one example) our then ISP went bust. 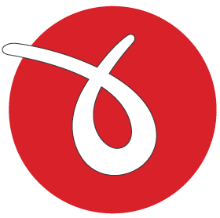 We have no interest in paying for commercial PDF editors, or re-visiting old or obsolete PDF files - when 'edits' to the PDF files can be done so easily and quickly using the invaluable add-on Comments bits of several PDF readers such as Foxit. Nor would I expect our reader(s) to have any intention of delving into the PDF display to see what might possibly lie underneath 'white space' or a text box. I hope that clarifies our own views. But to repeat: while I do agree with what you said, it's just that it has no bearing in our own 'amateur' environment (and which might arguably apply to the majority of visitors to GAOTD). Guys, I can't help feeling these increasingly-extensive discussions are going OT. Neither my oppo Steve nor I are professionals; just a pair of amateur enthusiasts who prepare e-books and complex graphics for publication FOC by third parties, hopefully for the interest of other enthusiasts. We would certainly not include sensitive information and do not have (or need) an email domain. So while I do agree with the majority of what you say, I stand by what we have already said about sussing out relatively simple and time-saving workarounds if and when (just as one example) our then ISP went bust. We have no interest in paying for commercial PDF editors, or re-visiting old or obsolete PDF files - when 'edits' to the PDF files can be done so easily and quickly using the invaluable add-on Comments bits of several PDF readers such as Foxit. Nor would I expect our reader(s) to have any intention of delving into the PDF display to see what might possibly lie underneath 'white space' or a text box. I hope that clarifies our own views. But to repeat: while I do agree with what you said, it's just that it has no bearing in our own 'amateur' environment (and which might arguably apply to the majority of visitors to GAOTD). Amayzingone, helpful and affirming advice. Thank you. Another excellent program well worth considering is wondersharePDF tools..
ericN, Do you have to pay for another else?? Some will only be limited till you pay for a full subscription. goldpony, : I've had mine for so long I can say quite honestly I forget where I got it now... been transferred through a couple or more Windows machines (now on Win10) but it does everything I want in PDFs and it's fully worth it to me even if I did pay anything for it. I think it's likely the Internet page where you get the program shows all the various functions you can do with it..it's more than enough .. but of course there are many of this type of program... you just have to choose one that does what you are likely to want ..
goldpony, : I've had mine for so long I can say quite honestly I forget where I got it now... been transferred through a couple or more Windows machines (now on Win10) but it does everything I want in PDFs and it's fully worth it to me even if I did pay anything for it. I think it's likely the Internet page where you get the program shows all the various functions you can do with it..it's more than enough .. but of course there are many of this type of program... you just have to choose one that does what you are likely to want ..
Harry, and in Windows 7 too. Where would that be, in Windows 7 ? I have never found anything like it. I use PDF X-Lite for that. Dave, Where would that be, in Windows 7 ? I have never found anything like it. I use PDF X-Lite for that. "Yes, it does in Windows 10." "Where would that be, in Windows 7 ?" FWIW, Chrome & Opera browsers have their own Save/Print to PDF that works a bit better generally than the system-wide Microsoft Print to PDF in win 10, provided of course that you can view whatever you need to print in one of those browsers. Opera also works as a PDF viewer -- better than the default Edge in win10. <i>"Yes, it does in Windows 10. "</i> <i>"Where would that be, in Windows 7 ? "</i> FWIW, Chrome & Opera browsers have their own Save/Print to PDF that works a bit better generally than the system-wide Microsoft Print to PDF in win 10, provided of course that you can view whatever you need to print in one of those browsers. Opera also works as a PDF viewer -- better than the default Edge in win10. Any better suggestions would be most welcome! For saving web pages as pdf, my up-to-date Windows 10 installation -> Print to pdf - leaves out background graphics, garbles some text over links displayed as text and doesn't recreate the actual links but displays them as text. The best solution I've found so far for converting webpages to pdf is a free chrome plugin called pdfmage. Unfortunately, it's sends the web page to someone's server which seems insecure if you're concerned about privacy and it returns a pdf that is password protected with printing disabled. I just found a way of bypassing the print disabling restriction: https://www.youtube.com/watch?v=gsCi12l4U9A Any better suggestions would be most welcome! Clairvaux, In the print dialog box. I don't use it because you can configure it. I use Foxit and have for years. Love it!! Clairvaux, In the print dialog box. I don't use it because you can configure it. I use Foxit and have for years. Love it!! Maybe you're making a confusion with Microsoft XPS Document Writer. There's no native print to pdf capability in Windows 7. When printing a Wordpad document, for example, you can choose to send it to that virtual XPS printer. But that's a different format, it's not pdf. The only pdf virtual printers I have in my Windows 7 Home 64-bit are third-party programs that I have installed myself. Dave, Maybe you're making a confusion with Microsoft XPS Document Writer. There's no native print to pdf capability in Windows 7. When printing a Wordpad document, for example, you can choose to send it to that virtual XPS printer. But that's a different format, it's not pdf. The only pdf virtual printers I have in my Windows 7 Home 64-bit are third-party programs that I have installed myself. Clairvaux, NO!!! I am not getting confused. I have used it and I hate it because all you can do is print a PDF document. No configuring it or anything. That is why I do not use it. I use Foxit PDF and have way before I even installed or used Windows 7. Putting it in all caps won't make it more helpful. What would help others would be to reproduce the exact chain of commands that, according to you, allows one to print to pdf with tools included in Windows 7. I think you're mistaken here. Maybe you were printing to pdf with Microsoft Office features, or something. Notice how several other commenters confirmed that Windows 10 offered print to pdf, but you're the only one insisting Windows 7 does. Dave, Putting it in all caps won't make it more helpful. What would help others would be to reproduce the exact chain of commands that, according to you, allows one to print to pdf with tools included in Windows 7. I think you're mistaken here. Maybe you were printing to pdf with Microsoft Office features, or something. Notice how several other commenters confirmed that Windows 10 offered print to pdf, but you're the only one insisting Windows 7 does.